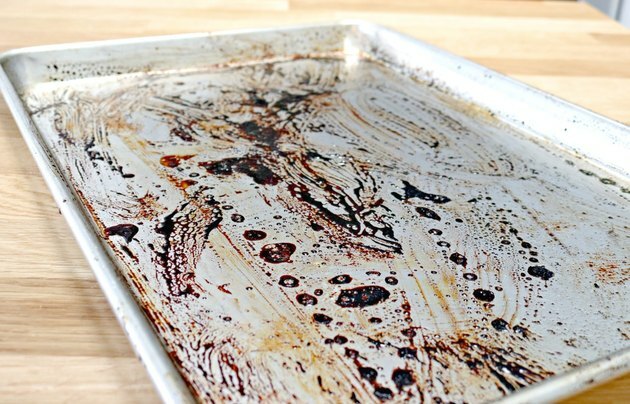 Sheet pans get used more than most kitchenware, and they can get really dirty. Sometimes you might scrub and scrub, but burned on foods and oils just won't budge. 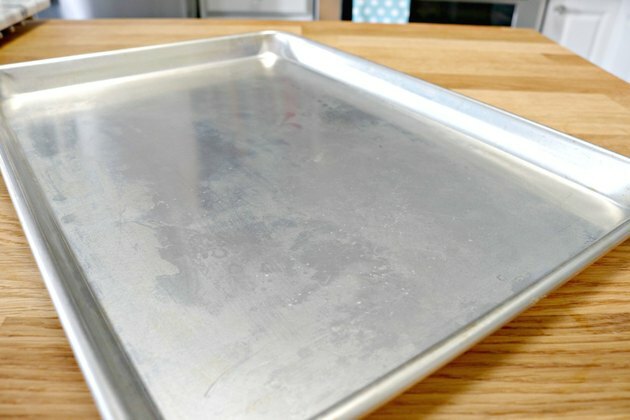 This trick will show you how to rescue your sheet pans and restore them to "like new" condition! 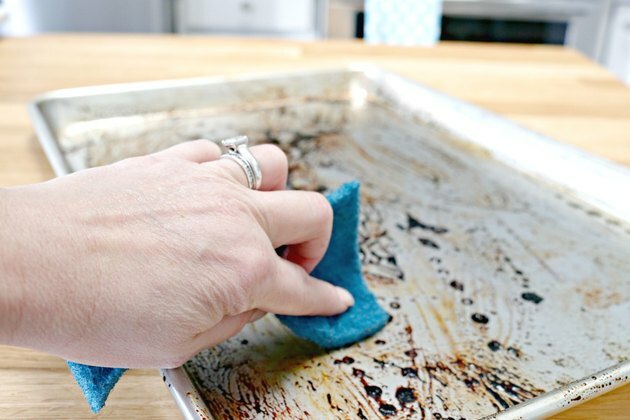 Start by scrubbing away any burned on foods. 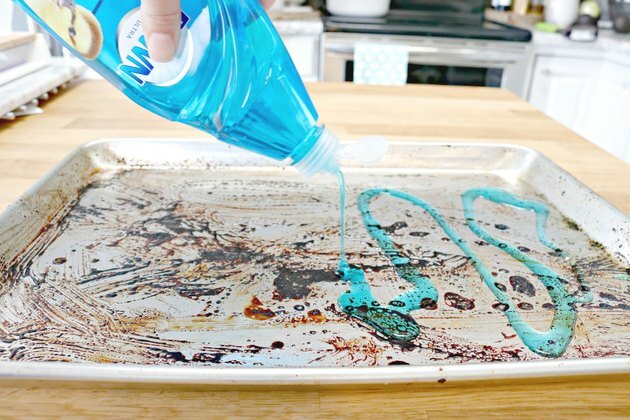 Next, coat the entire pan with dish liquid. 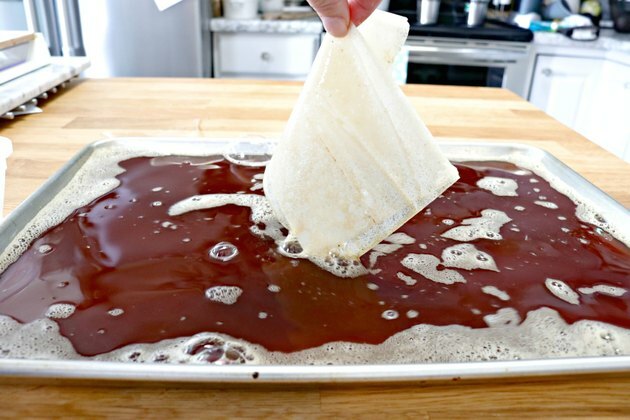 Now place dryer sheets over the dish liquid. 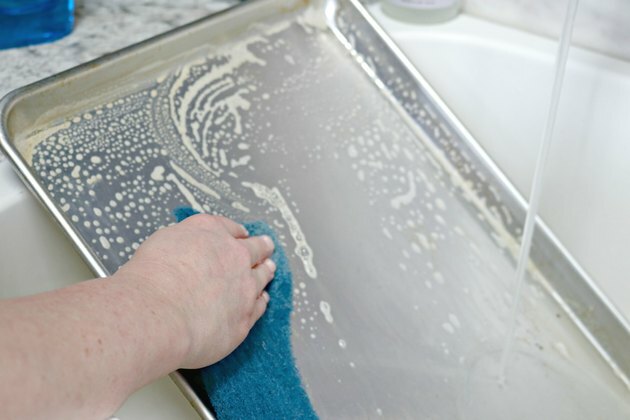 The amount of dryer sheets that you need to use will depend on how big your sheet pan is. 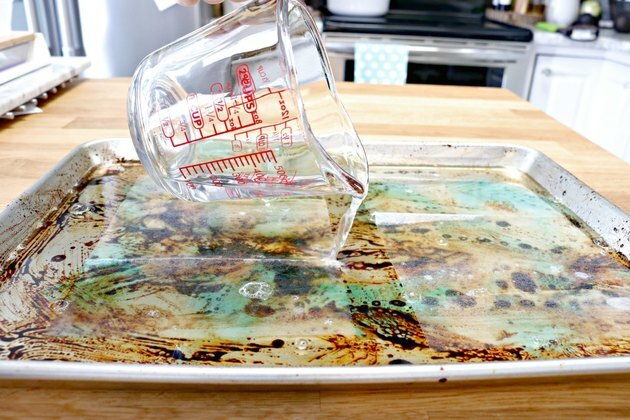 Pour enough warm water to cover any burned on spots, and let sit for 2 to 3 hours. 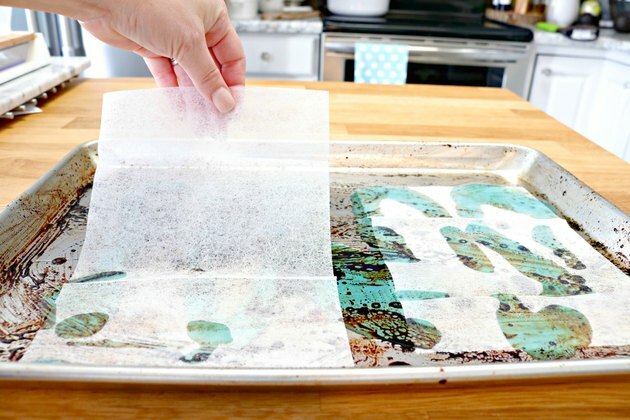 Remove dryer sheets and discard. 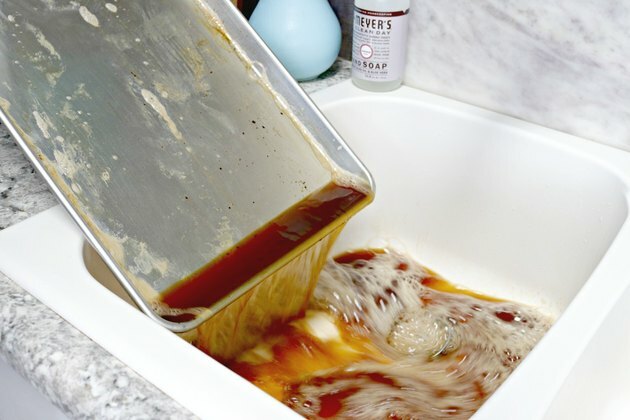 Pour liquid into a sink. 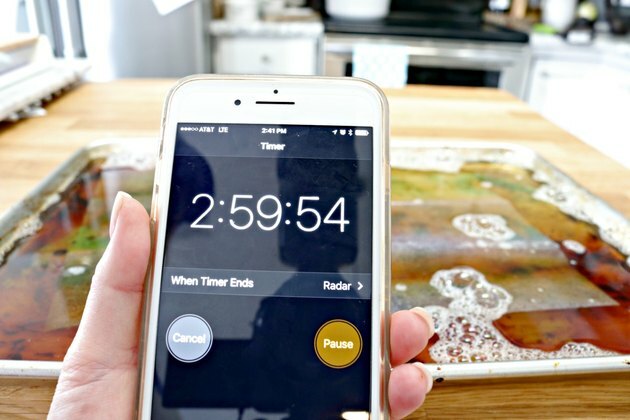 Scrub any extra bits from your pan and rinse. 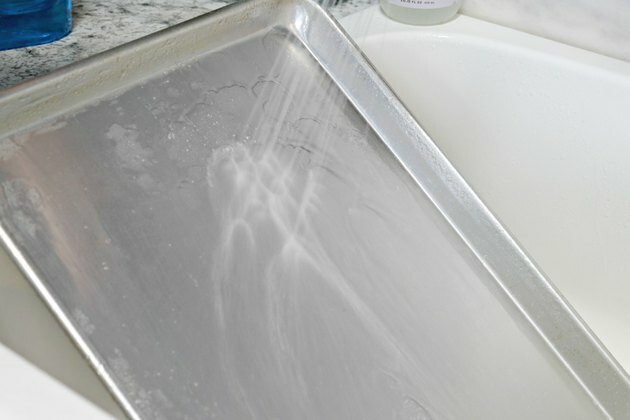 Your pan should be shiny and spot free!